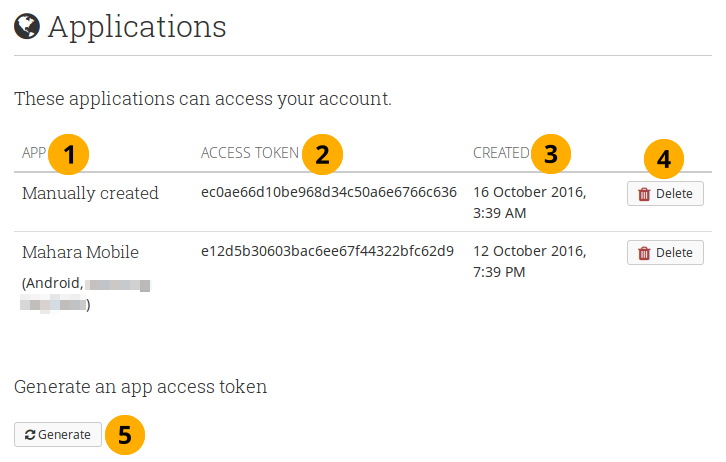 This is the page where you can view your mobile access tokens for „Mahara Mobile“, a mobile app, available for Android and iOS. App: You can see the name of the app, e.g. Mahara Mobile, as well as information about the device from which you connected. If the site administrator allowed users to generate tokens manually, you also see the „Manually created“ option.